Lot's of unusual St. Patrick's Day music and videos all together in one place in this post - for a mighty good reason! Put on something green and come join the party. Drowning in insipid Christmas music? Grab this! When you get to the point when you know you're going to just scream if you hear "White Christmas" or "Chestnuts Roasting on an Open Fire" one more time when, be sure you have this musical bromo-seltzer on hand. Free thru the 2018 holiday season as a public service. Ahoy there, shipmates! 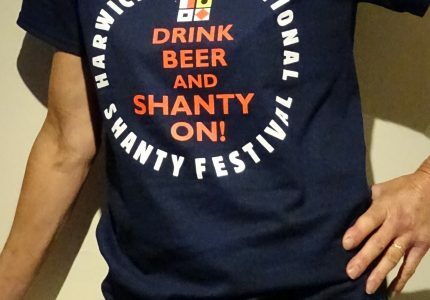 The Harwich International Sea Shanty Festival looms on the horizon. Come see the Men Overboard trio the first weekend in October! Sometimes it's best just to pull out all the stops and "go for baroque"! You may ask, is Robert excited about performing his New Old Sea Songs at the Baltic Shanty Festival 2018? 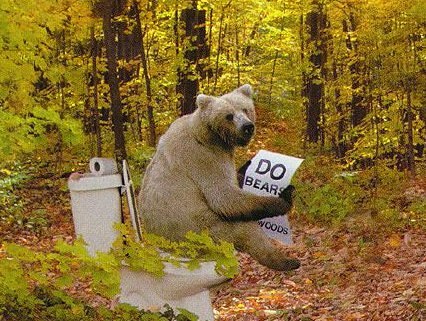 Hey... does a bear you-know-what?? Click on in for the schedule of my shows. In the absence of those fiery ancient Prophets, we folk musicians are left to fill the gap to deliver the age-old message to the bloated evil-doing rulers of our era as best we can. Sometimes we musicians perform under circumstances that we could wish were different. The 2018 Queen's Birthday bash at the British Consulate at Saint Petersburg was one such occasion. Sometimes you get more than you bargained for... in a good way. And sometimes you need to put aside old prejudices and just listen to what a guitar is saying about itself. When it comes to music, it's preferable to keep things separate. There are times when you simply gotta take a stand. These times are them. If a fruitcake political hack can blithely rewrite history to suite the singin' between his ears, I figure can rewrite a classic sea shanty to give him rats for it.